Question 9: I see the government’s documents say, like some people who believe in Jesus, those who believe in Almighty God abandon their families in order to preach the gospel. Some people don’t even get married for a lifetime. The documents also say that the government wants to detain a group of people who believe in Almighty God and kill another group. Killing them means nothing. There is something else like “Troops won’t be withdrawn …” right, “until the ban is done.” Many believers of Almighty God were arrested, imprisoned, wounded and crippled by the CCP. Some people even lost their jobs and their families were ruined. This has drawn a lot of criticism that people who believe in God do not want their families. Do you say this is true? You can’t abandon your family or give up marriage. If this is how you really believe in God, advises you not to believe in Almighty God, okay? Answer: If you really knew that God’s appearance and work is for the salvation of man, you would believe in God and follow God too. The Lord Jesus said, “Truly I say to you, There is no man that has left house, or parents, or brothers, or wife, or children, for the kingdom of God's sake, Who shall not receive manifold more in this present time, and in the world to come life everlasting” (Luk 18:29-30). He also said: “And he that takes not his cross, and follows after me, is not worthy of me. He that finds his life shall lose it: and he that loses his life for my sake shall find it” (Mat 10:38-39). If you see these words of the Lord Jesus, you will know what kind of people are true believers of the Lord Jesus. It is exactly these kind of the Lord’s followers that the CCP hates most. Do you know why they follow the Lord this way? They follow the Lord this way for the truth, for the life, and for the Lord. They can give up worldly glory and wealth, they do not covet physical comfort and carnal pleasure, they are willing to endure hardships in preaching the gospel and suffer all kinds of pains to bear witness for the Lord. What noble people they are! All such people are praised by the Lord. However, why does the CCP so hate, defame and condemn these people? Why are these people being detained and put to death? It even threatens, “Troops won’t be withdrawn until the ban is done.” Isn’t this a perverse act against Heaven? Isn’t this resistant to God? In my opinion, all that the CCP has done to these people who believe in God is criminal and sinful. It is really utmost reactionary! Those who believe in God preach the gospel to bear witness for God in order for people to come and worship God, and be saved by God. You also see that the world is becoming increasingly dark and evil. People are becoming increasingly corrupt. They advocate evil and abhor the truth. They all follow the world’s evil trends, pursue wining, dining and gaming, enjoy sinful pleasure, and even openly deny, resist and act against God. Say, this world is so evil and people are utmostly corrupted, should they have been destroyed long ago? The Bible prophesies a catastrophe in the last days. If humanity does not return to Almighty God, does not accept the cleansing and salvation of Almighty God, it will be destroyed by catastrophe. Now the catastrophe is imminent, and mankind is facing the calamity of destruction. 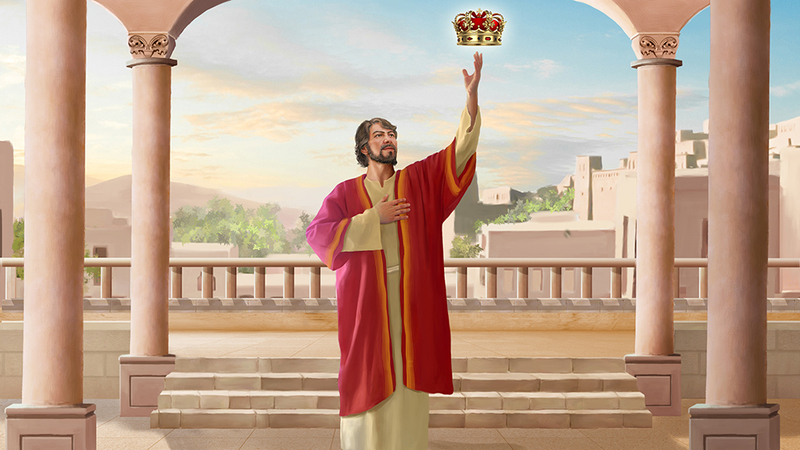 The incarnate Almighty God has expressed the truth in the last days and taken a step in His work to judge and cleanse mankind for it to be saved from sin and be brought into God’s kingdom. If mankind wants to be saved, there is only one way now. That is to accept the judgment and chastisement of Almighty God for the cleansing of its corrupt disposition in order to survive the catastrophe with the protection of God. Those who believe in Almighty God understand God’s eagerness to save man. They are willing to put down physical enjoyment, brave the arrest and persecution by the CCP, and endeavor to preach and witness the kingdom gospel of Almighty God. This is done to enable more people to survive through God’s salvation. This is carrying out the will of God! As the Lord Jesus said, “Go you into all the world, and preach the gospel to every creature” (Mak 16:15). 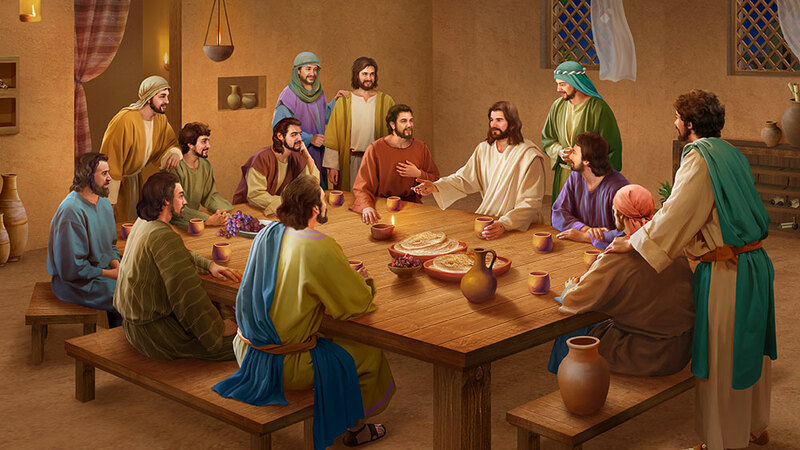 Almighty God says, “As members of the human race and devout Christians, it is the responsibility and obligation of us all to offer up our mind and body for the fulfillment of God’s commission, for our entire being came from God, and it exists thanks to the sovereignty of God. If our minds and bodies are not for God’s commission and not for the righteous cause of mankind, then our souls will be unworthy of those who were martyred for God's commission, much more unworthy of God, who has provided us with everything” (“God Presides Over the Fate of All Mankind” in The Word Appears in the Flesh). 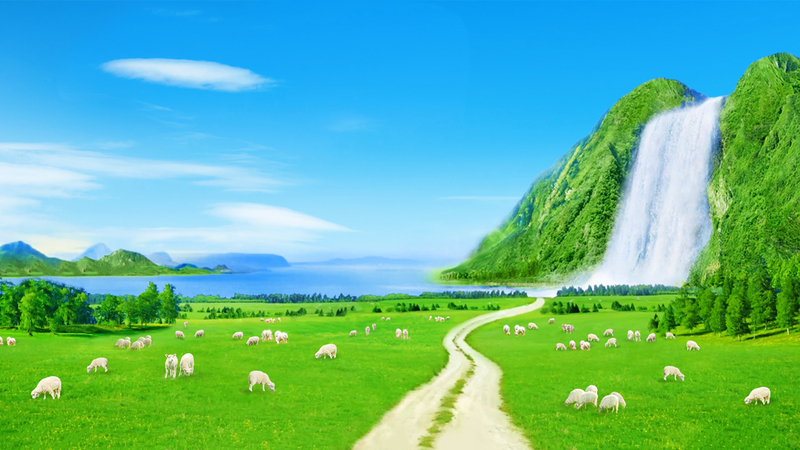 Do you think people who believe in Almighty God are fools who do not perceive the danger in spreading the gospel? If you think so, then you are wrong. Spreading the gospel is conforming to the wills of Heaven and the people. It is a moral and virtuous deed! However, the CCP government betrayed the wills of Heaven and the people by madly condemning the benevolence of Christians and by brutal arrest and persecution. Many Christians were displaced and rendered homeless. So many people were arrested and imprisoned and some were even persecuted to death! The CCP government is the culprit behind the ruination of countless Christian families. But it counterclaimed that the families of these people were ruined by their belief in God. Isn't this a distortion of the facts and turning black-and-white on its head? Had it not been for the CCP’s lunatic suppression, arrest and torture of Christians, would it have led to such an outcome? Isn’t this the sin committed by the CCP through its persecution of Christians? Believing in God is totally justified. Myriad people in countries around the world believe in God. Whose families have been shattered? Isn’t it all true? Some ignorant people are still deluded by the CCP’s rumors and absurdity. Not only do they not despise the CCP for persecuting Christians, instead they say the Christians are wrong for believing in God. Isn't it mindless and preposterous? We also know that there is a danger of being arrested for preaching the gospel in China. But if we wait until the CCP collapses and then preach the gospel, everything will be too late. By then the work of God will have been done, and the catastrophe will have descended. Those who have not received the salvation of God in the last days will be destroyed in the catastrophe, and their souls will be cast down to hell for punishment! Almighty God says, “The disaster originates with Me and is of course orchestrated by Me. If you cannot appear as good in My eyes, then you will not escape suffering the disaster” (“You Ought to Prepare a Sufficiency of Good Deeds for Your Destination” in The Word Appears in the Flesh). “None know that the repeated reminders and exhortations of God are because He holds in His hands an unprecedented disaster that He has prepared, one that will be unbearable for the flesh and soul of man. This disaster is not merely a punishment of the flesh but of the soul as well. … This is because only one creation and one salvation are within the plan of God. This is the first time and also the last. Therefore, none can comprehend the kind intention and fervent anticipation of God for mankind’s salvation” ( “God Is the Source of Man’s Life” in The Word Appears in the Flesh). God’s eagerness is to save mankind from the throes of disaster. If we are afraid to preach the gospel in fear of the CCP’s persecution, hiding at home for comfort and survival in shame, our hearts will not be at peace! Previous：Question 8: What you said about going to hell for resisting God, I don’t believe it. Who has seen where hell is? What does hell look like? I don’t even know if God exists at all. I don’t recognize that God exists. Where is God after all? Who has seen God? If Almighty God is the true God, when the CCP so desperately condemns and attacks Almighty God, why hasn’t God annihilated it? If God reveals His omnipotence and destroys the Communist Party, then He is the true God. That way, mankind as a whole must acknowledge that Almighty God is the true God, even the CCP will have to prostrate and worship the true God. Who would dare to resist God? But what actually happened? What I saw was the CCP police arresting believers of God everywhere. Many of God’s believers were thrown into prison, tortured and maimed. Many of them were killed. However, did your God save them? How can this make one believe that the God you believe in is true? I cannot understand you at all. Is the God you believe in true or false? I am afraid that you don't even know. In that case, aren’t you being foolish? What is your basis in saying that the God you believe in is the true God? Can you explain it clearly? Next：Question 10: I have been working for the United Front for many years, and I have studied various religious beliefs. Christianity, Catholicism and Eastern Orthodoxy are all orthodox religions that believe in Jesus. But your belief in Almighty God is so different. According to CCP documents, The Church of Almighty God does not belong to Christianity at all. You are preaching the gospel to various sects under the banner of Christianity that don’t recognize you as a Christian denomination. So I will never allow you to believe in Almighty God. You can only believe in Christianity if you want. The government’s persecution will be lighter this way. If you get arrested and incarcerated for believing in Almighty God, your life will be in danger. The CCP has already seen that all those who believe in Almighty God are invariably followers of Christ in the last days who are Christ’s disciples and apostles. 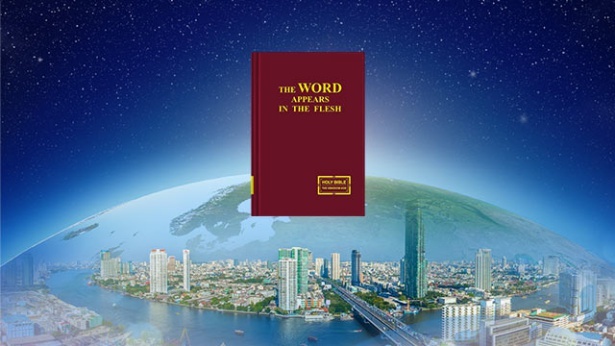 What the CCP fears most is the proclamations and testimonies of the book The Word Appears in the Flesh expressed by Christ in the last days, as well as this die-hard group that follows Christ in the last days. We have studied the history of Christianity. What Judaism and the Roman Empire feared most were the disciples and apostles of Jesus. So when these people were captured, they were executed by different methods of capital punishments. Today, if measures are not taken to suppress and completely ban this group of people who follow Christ of the last days, in less than a few years, they will subsume the entire religious community. At present, several main Christian factions in China have already been subsumed by The Church of Almighty God. The CCP is very clear about this. Had the CCP not fabricated some public opinions and contrived the Zhaoyuan Case, perhaps the day will come when the religious community of the world would be subsumed by The Church of Almighty God. Once The Church of Almighty God subsumes the entire religious community, it will be very unfavorable to the rule of the CCP. Therefore, the Central Committee made a strong determination to deploy all available forces to thoroughly ban The Church of Almighty God in a short period. You need to know, the emergence of Eastern Lightning not only took China by storm, it also made a big splash in the world. Since you made such a big move, how can the CCP not frantically launch a wholesale suppression and arrest campaign against you? If you must believe in God, you can only believe in Christianity. You are absolutely forbidden to believe in Almighty God. The Church of Almighty God does not belong to Christianity, don’t you know that?